Please do not copy these rankings and/or distribute via email or post to other websites or social media such as Facebook or Twitter. The NYSSWA covers its costs by selling ads that are dependent upon attracting visitors to our pages. 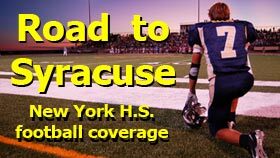 TAXI SQUAD (IN ORDER): Alfred E. Smith-PSAL (6-0), New Utrecht-PSAL (5-2), Archbishop Stepinac-CHSFL (4-3), Fort Hamilton-PSAL (5-1), St. Francis Prep-CHSFL (6-1).